Chennai, May 17 : Having played a key role in ensuring a United Progressive Alliance's success in Tamil Nadu, the M. Karunanidhi-led Dravida Munnettra Kazhagam is likely to ask seven cabinet berths in the new set up of government at the Centre. DMK wants to retain Surface Transport and IT ministry among others, a Times Now report quoted sources as saying. DMK sources had earlier stated that they were eyeing cabinet posts for Kanimozhi, Maran and Azhagiri. 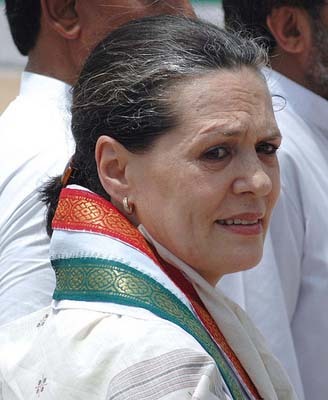 Sources said that DMK chief and chief minister of Tamil Nadu, M. Karunanidhi would visit the national capital on Monday (May 18) to meet Congress president Sonia Gandhi over the matter. Putting up a strong showing, the UPA constituents DMK and Congress were racing to capture a lion''s share of the 39 Lok Sabha seats in Tamil Nadu. "I give credit to the DMK government in Tamil Nadu. The mandate is clear," said Maran, former Communication and IT Minister.